Meet Rudolph “Blaze” Ingram, the 7-year-old who is about to make you feel extremely bad about your athletic ability. 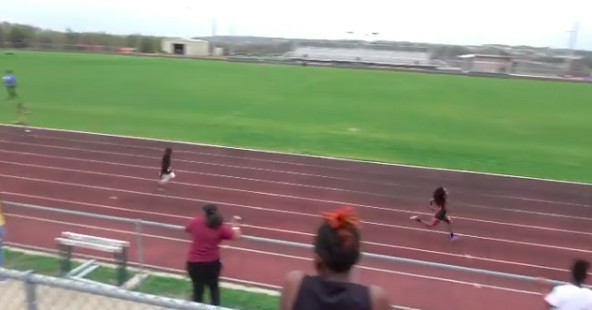 Ingram is already a social media star, amassing over 300,000 follows on Instagram as people tune in to see a child already being dubbed the next “great one,” in the world of sprinting. To give an idea of just how ludicrous a 13.48 in the 100 meters is consider this: The world record is under four seconds slower, and the world record for high schoolers is 10.00 seconds. And this is a kind who has barely had time to grow yet. Time will tell is “Blaze” ends up being the next Usain Bolt — but people have high hopes.